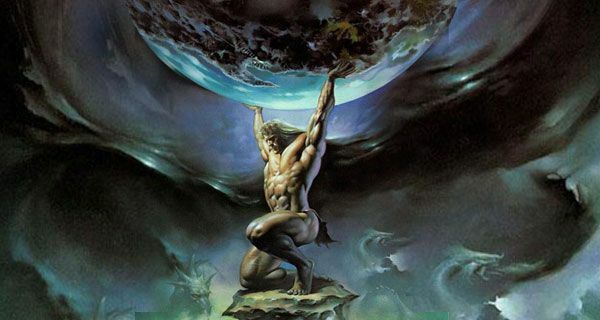 Project title inspired by the Titan Atlas punished to hold up the planet Earth for eternity but instead this project will forever bounce a ball. This dynamic perpetual-like motion desk bounces a dropped ball at a constant rate based on the time interval seen between the first two impacts. No matter what ball mass or drop height initiates the code, the system will adjust and account based on its initial inputs. This project's purpose would be a fun object to have on your office desk to take your mind off of work for half a moment. All moving parts and wiring was intentionally packaged within the box to keep the aesthetics as simple and clean as possible especially if this goes onto a office desk. What is needed? The Makecourse offered at the University of South Florida included majority of the Arduino set that was used for this project. Other items were either purchased (links provided) or found in a machine shop or a laboratory inventory. Parts were modeled using SolidWorks. These are printed because of there unique geometries and do not see large loading conditions. All STL file are uploaded for you to print yourself. All parts were printed out of PLA material; no requirements for infill density or infill shape; default wall thickness is sufficient. (1x) Lid- fits onto bin and has openings for the linkages, sensor, LCD screen, LED lights, and mounting bolts. Using a laser cutter, these components were cut to precise dimensions from a 0.125" wood and acrylic panels. 1:1 PDF projection drawings are uploaded for you to laser cut yourself. Notice: Maximize acrylic use when laser cutting as there is only enough for one attempt. If concerned with messing up the laser cut, order extra acrylic material. The LED lights, the servos, and the LCD screen are wired to take a commands from the Arduino. The tilt sensor will send its disturbance into the Arduino. The top row on the breadboard acts as the systems GND and the row just below acts as the voltage supply. In the circuit schematic, my LCD screen has a YwRobot Arduino soldered onto it making simplifying the circuit to 4x connections. Also, I used the Arduino Tilt Sensor (blue color) and not the SparkFun (red color) sensor. All comments within code describe the functionality of the code logic. Code is organization and labeled to better understand the intention of each line and its relation across the project. lcd.print("Frequency:"); 		         //Writing to LCD screen. Any visual text can be entered here. lcd.print("Hz:"); 				 //Writing to LCD screen. Any visual text can be entered here. This step requires some care as there are a lot of finicky components that interact with one another. 1.) Press ball bearings into 3D printed housing. 2.) Glue LED lights onto lid and gently fold them flushed to avoid LED legs from falling off. Avoid excessive bending of the legs or risk yielding the leg off. 2a.) Optional step: Drill hole on back face of bin to hard ziptie the arduino port to avoid reopening/reclosing lid for arduino connection. 3.) Glue 3D pins into gears with linkage on. Make sure the linkage does not get glued with the gear. 4.) Check aluminum filler rod (or square axle) fits into ball bearings. 5.) Glue gears onto the aluminum filler rod and mount onto the bearing housings. 6.) Ziptie the servos onto the 3D servo stand. 7.) Align servos with the gears on the bearing housing axle. Note: Before final glue of the servo stand and the bearing housing onto the bin, double check gear engagement. 8.) Secure electrical components onto left side of bin. Keep it organized to prevent wires from contacting the gears. 9.) Connect the servos, the LED pins, and LCD screen appropriately. Note: Before closing the lid, test run the servo at a low speed to ensure gears are still engaging and all wires are clear of moving parts.Take care the linkages do not suspend or risk damage. 10.) Close lid and check the gear and linkage clearance against the lid. If satisfactory, bolt lid down and mount platform to linkages. 11.) Carefully add the acrylic column within the platform and fully latch platform to linkages. Do not glue down until test run to check clearance against the linkages. 12.) Run servo test at low rpm to check for clearance. If loud noises or items halt motion occur, unplug connector and check for conflicting part. This is the first project where I learned Arduino over the last few months and that I built something with moving parts. The code and build were not particularly complicated individually but when assembled together revealed an assortment of tolerance stackups. With an alternative driver such as a solenoid to provide the actuation would have led to less components and ultimately led to a faster final product. Lots were learned over the course of this project. If you have any advice or suggestions, please leave a comment for future improvements. Is there a video so we can see what it actually does? That's a fun design idea :) I hope you get an A on your project!